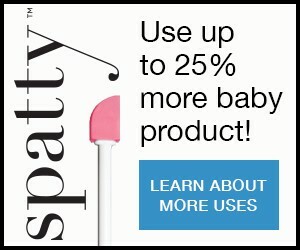 Want a smarter baby? Skip the Mozart and flash cards and pay attention to your diet, particularly during pregnancy and post-birth. Babies born to moms who consume at least 200 mg of Omega-3 in the form of of docosahexaenoic acid (DHA) fish oils have better visual, cognitive and behavioral skills that last well into childhood and that may positively impact their lifelong health and mental capacity. Eating a variety of seafood 2-3 times a week provides the Omega-3s that you and your baby need without introducing concerns about mercury in fish. In fact, experts recommend that pregnant and nursing women get at least 200 milligrams of Omega-3 DHA every day. Overwhelming evidence for the benefits of DHA comes from a recent review of some 50 studies, which together concluded that DHA in babies’ diets translates into better brain function, especially cognitive and visual function. One recent study determined that eating fish during pregnancy correlated to an increase in IQ in babies on 2 common developmental screening tests of 7.5 points. DHA is concentrated in your body, and your baby’s body, in nerve cell membranes and is essential for development of the nervous system. DHA accumulates in the baby’s brain during late pregnancy. When you don’t have sufficient DHA in your diet, a substitution of omega-6 fatty acid, DPA, occurs, resulting in an altered cell membrane. Omega-6 essential fatty acids are the main fatty acids in American diets because of our high consumption of oils such as corn and soy oils—prime sources for Omega-6 fatty acids. While these oils are good for your cardiovascular health, they don’t have the same benefits that long-chain Omega-3s provide. To get the brain and health boost, eat a minimum of 12 ounces of seafood each week (salmon, tuna and sardines give you the biggest bang for the bite) or eat DHA-fortified eggs. Limit consumption of albacore tuna to no more than 6 ounces a week because of high mercury content in that type of tuna. Take a DHA supplement during pregnancy and keep it up post-pregnancy for as long as you breastfeed your baby. If you’re feeding your baby infant formula, feed with one that is fortified with DHA. Here’s why: after birth, your baby’s DHA levels fall between ages 6 and 12 months mostly due to low DHA in most baby foods and formulas. This can have a profound effect on your baby’s brain development in the first year. One study that measured the impact of DHA on visual development in six-month-old infants found that eye development was greatly improved in infants receiving DHA-enriched egg yolk versus infants who were deficient in DHA. In fact, the researchers found that even in breastfed infants, DHA levels fell, whereas levels rose by 34 percent in the babies receiving dietary supplement. For a brain and health boost, eat a minimum of 12 ounces of seafood such as salmon, tuna and sardines, each week!